Parker Boehme threw four touchdown passes and rushed for a fifth as Sandalwood defeated Wolfson 41-12. Boehme completed 27 of 44 for 275 yards. This video clip includes one of Boehme's touchdown passes. The Sandalwood highlights start at the 3:00 mark. 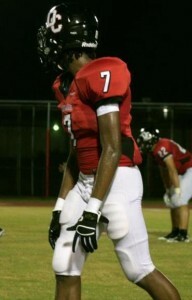 Johnell Barnes caught a 43 yard touchdown pass in Dunbar's 48-34 win over Lehigh in Fort Myers, Florida. Fort Myers High School took to the road on Friday night, traveling to Naples to defeat Golden Gate High 37-23. Quarterback T.J. Douglas ran for 77 yards and three touchdowns. In La Puenta, California, Darren Andrews rushed for 78 yards including a 40-yard run on Bishop Amat's first play from scrimmage in a 34-24 victory over La Mirada. Joseph Ajeigbe rushed nine times for 148 yards and two touchdowns as Norco routed Rancho Cucamonga Etiwanda 42-13. Ajeigbe scored on a 25-yard sweep in the 1st quarter and a 33-yard run in the 4th quarter. After the game, Ajeigbe commented, "We are doing a good job of spreading the ball out more and utilizing all our weapons. Coach Gerhart scheduled good competition in pre-season so we can prepare for league play. The defense is doing a good job as well." Moving down to Georgia, Walker defeated North Cobb Christian 54-14. Walker defensive lineman Mike Ramsay told Blue Devil Nation, "Our game went great! We won 54-14. I recovered a fumble early in the game. We picked off a pass late in the 1st quarter and ran it back to go up 14-0. Our RB ran for 277 yards and 4 touchdowns." In Texas, Mansfield High beat Keller 35-0. Mansfield offensive lineman Austin Davis stated, " We won 35 to 0! We dominated and rushed for 400 yards! Our defense did great. We did really good all around. I played a good game and muscled my man around! 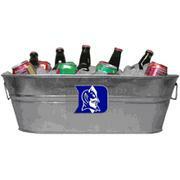 Go Duke!" Jake Kite caught touchdown passes of 68 and 16 yards, but Hidden Valley fell to Lord Botetourt 22-14. Overall, Kite caught four passes for 105 yards. The 68 yard touchdown is included in these video highlights. This week's Blue Devil Nation review of high school gridiron action starts with in-state verbal commit Quay Mann, who scored two touchdowns, on runs of 10 and 15 yards. Mann rushed nine times for 65 yards overall. Unfortunately, Tarboro defeated Mann's Northern Nash team 47-35. 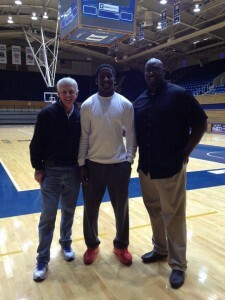 When asked for his thoughts on the game, Mann told Blue Devil Nation, "It was a good game. We kept trading leads until the very end." 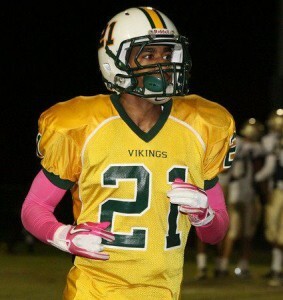 Evrett Edwards' Woodbridge (Va.) Vikings defeated the Franklin County Eagles 27-7. 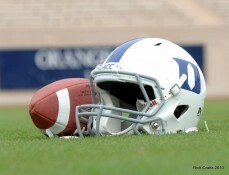 After the game, Edwards told Blue Devil Nation, "We played extremely well. 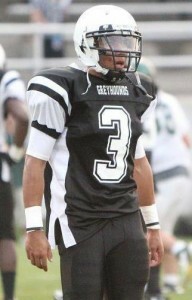 I had a 46 yard kick return, four catches for 51 yards and three tackles." 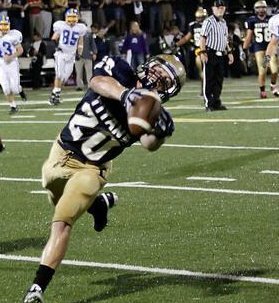 Also in Virginia, Jake Kite caught two passes for 41 yards as Hidden Valley shut out William Byrd 10-0. Moving on to action from Florida, quarterback T.J. Douglas of Ft. Myers High racked up some impressive statistics in a 29-12 victory over Lehigh. Douglas completed eight of 14 passes for 135 yards, while scoring twice on one-yard runs. Douglas's eight completions went to seven different receivers. Also in the Ft. Myers area, Dunbar defeated East Lee County 45-0. Cornerback Johnell Barnes commented, "We started off a little slow, but in the second half we came out and dominated." In Jacksonville, quarterback Parker Boehme and Sandalwood defeated Baldwin 48-20. Boehme is #12 in these video highlights. This season preview states there are great expectations for Sandalwood this season. Here is a preview article on running back Joseph Ajeigbe [Norco (CA) Norco] which includes a video interview. As more high schools kick off their seasons, Blue Devil Nation will provide updates on all the players who will be joining the Blue Devils next year, so be sure to check back.